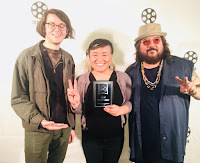 GLOUCESTER RECORDS: Glasspirits Win Best Music Video For 'Strangelove' At The LBCCFC Film Festival! 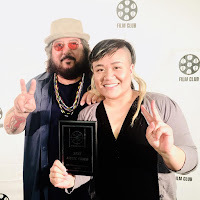 Glasspirits Win Best Music Video For 'Strangelove' At The LBCCFC Film Festival! Congrats, to Abe Perez and Joanna Glass of Glasspirits! 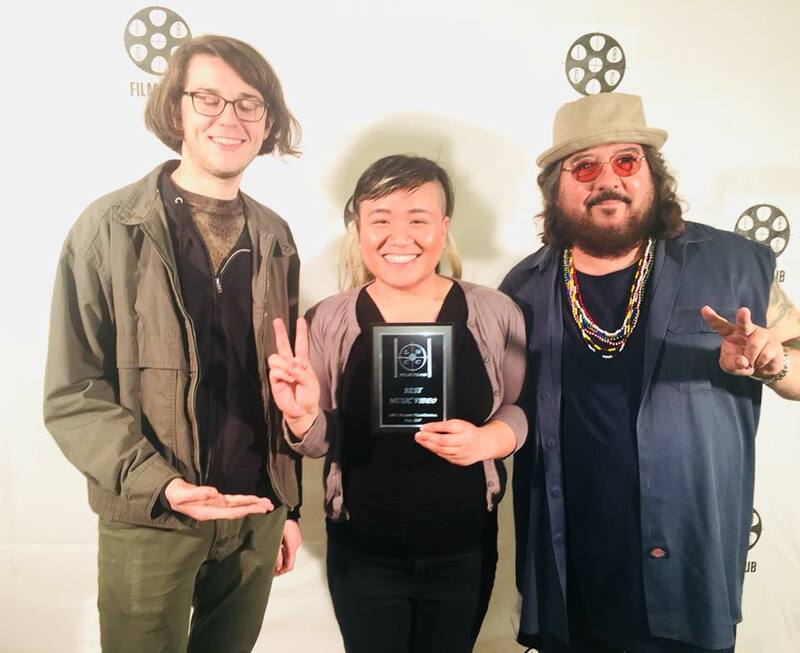 They received the award for 'Best Music Video' for their cover 'Strangelove' at the 2017 LBCC Annual Film Festival brought to you by their Film Club! 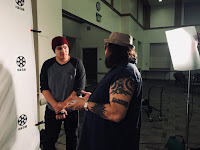 Also, congrats to Zack Perez of Astral Media for shooting the studio scenes and Josh McGiffert and Mike Roberts for acting in and shooting the storyline scenes called 'Blood on Orange' that appear in 'Strangelove' and Gilbert Deleon for acting and being part of the crew. Big thanks to Nadine W. FLores for directing the studio scenes of 'Mexican Baby' and 'Charlize'. Full list of cast and crew for all videos will be on the video descriptions when they are premiered, worldwide. 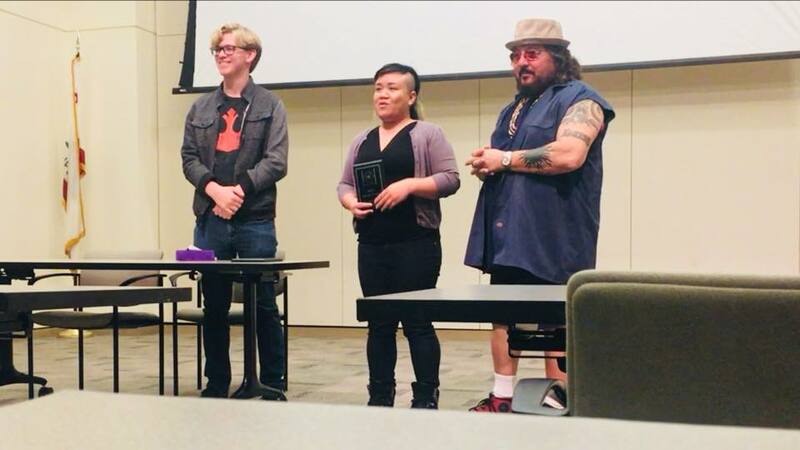 Thank you, to Sarah Hawbaker, Gina Dipietro, Mark Sosa, Dr. Alison Hoffman and the rest from LBCCFC for setting up the event. 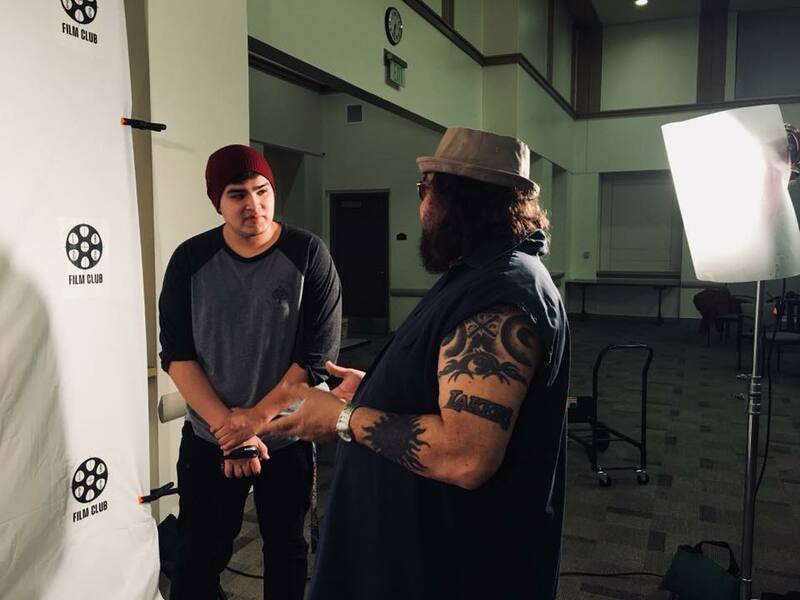 And, warm thanks to Josh from LBCC Viking News for taking the time to interview Joanna and Abe.